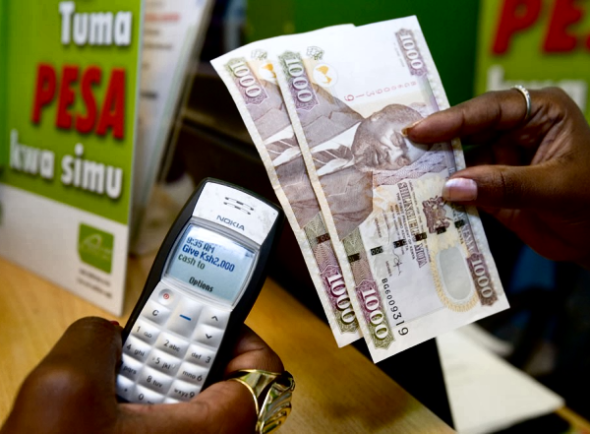 M-Pesa’s position as the leading cash transfers service is set to face a new challenge with the launch of mobile money interoperability, which will see users send and receive money across networks in real time. The communications and banking sector regulators are today set to announce the start of a pilot test of the cross-network service beginning Monday next week, before its full launch to the public later on. “One of the key reasons we need interoperability is to make sure that people are not limited by a closed network, you should be able to send money to anyone on any network and receive money from anyone,” said ICT minister Joe Mucheru in an interview yesterday. dominance of the telecoms market. It is projected that greater convenience in cross-network transfers will encourage customers to sign up onto the smaller operators. Mobile money service users who currently receive money from a rival network only get a text message on their phone, which they then cash from their cash transfer agents. In the new system money received from rival networks will reflect in real time as cash available for use in their mobile wallets. Mobile network operators have been negotiating this new system for almost one year. Mr Mucheru said that although the service will be initially piloted between Airtel and Safaricom, Telkom Kenya is expected to come on board once it relaunches its mobile money services. Kenya is following in the footsteps of Tanzania and Rwanda in implementing interoperability. In a statement to the Business Daily Telkom Kenya did not give a date on when it would join in the interoperability scheme. The operators have agreed to a system where they will sign bilateral agreements on interoperability. Airtel has therefore signed a contract with Safaricom, which has seen the two integrate their networks. Telkom Kenya will have to sign separate agreements with Safaricom and Airtel once it comes on board. The operators have not yet set the cross-network cash transfer fees but say they have agreed not to charge each other inter-change fees. The operators will maintain pre-funded accounts from which they will draw to settle cross-network transactions. Airtel and Safaricom will be looking to iron out deficiencies in the system during the pilot stages. They will also test the customer experience and ensure that the product is scalable to a national level. “Because this is a money product we have to take exceptional care,” said Safaricom corporate affairs director Steve Chege in an interview. Currently, sending money to a mobile phone subscriber who is not registered on one’s own mobile money network can be expensive and inconvenient. While Airtel Money does not charge fees for transfers to an unregistered account, the fees on M-Pesa are higher than if the recipient was a registered user. On both networks the recipient has to withdraw money from an agent with the sender’s mobile money network. For instance, if an M-Pesa customer sends money to an Airtel subscriber, then the recipient can only withdraw the money from an M-Pesa agent. In implementing mobile money interoperability, the operators would be pre-empting the recommendations of a draft study on competition in the sector. The study, carried out by consultancy firm Analysys Mason, found that Safaricom was the dominant player in the mobile money and mobile communications segments of the telecoms market. Data from the CA shows that Safricom’s M-Pesa had an 80.8 per cent market share in the quarter to September 2017. A draft version of the report, leaked in February last year, recommended the implementation of mobile money interoperability by the end of 2017 to remedy this situation. Initially, the consequence for failing to do this was the splitting of Safaricom from M-Pesa. The report has since been reviewed and this last-ditch option has been taken off the table. However, mobile wallet interoperability will not be the cure-all for the competition concerns in the sector. Smaller operators will also have to invest heavily in their agent networks if they hope to draw customers to use their services. The Analysys Mason report has also recommended national roaming and sharing of towers in select counties as solutions to the question of Safaricom’s dominance in other segments of the market.